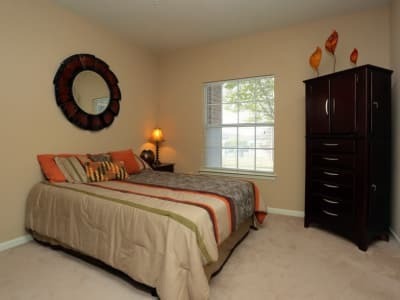 At Harbin Pointe Apartments, you can embrace a lifestyle you will love. When you live in our one and two bedroom Bentonville, AR, apartments for rent near Walmart, you can take advantage of our entire collection of boutique-inspired amenities. Make the most of your leisure time at the resort-inspired outdoor swimming pool, surrounded by a sundeck. When you want to get your heart pumping, spend some time at the fitness center or meet a friend for a match on the community tennis court. And if your pup is craving a little playtime, check out the professionally maintained onsite dog park. When you want to unwind, spend some time at home in your spacious apartment. Prepare your work lunches ahead of time in your kitchen, or catch up on your housework with the help of your in-home washer and dryer. When you aren’t busy with chores, start a beautiful container garden on your private balcony or patio. 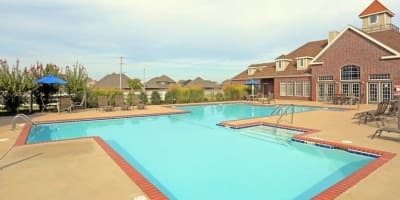 Take advantage of the amenities and features at Harbin Pointe Apartments. Give us a call today to set up your tour of our Bentonville, AR, apartments for rent near Centerton.